The tri-cities stitch together clothing & quilts to show orphans we care. Brenda Barnicki has always had a heart to help others, specifically children. That’s why she started Bellafina Chocolates in Kingsport, TN. All of Bellafina Chocolates net proceeds, after covering expenses, are dedicated to charities helping children threatened by disease, poverty, abuse, or neglect. Now using scrap denim provided by L.C. King, she has partnered up with other local organizations to make sure that the children of Rakai Children’s home in Uganda feel loved. 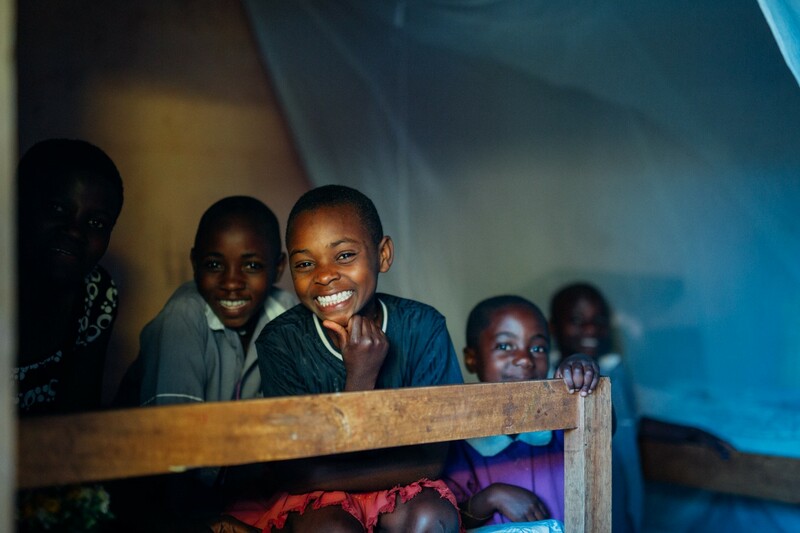 Some of the children at Rakai Children’s Village being silly before bedtime. In total, nearly 150 pieces of clothing were made and donated to Serving Orphans Worldwide Bristol, TN who helps support 45 orphanages in 25 countries. 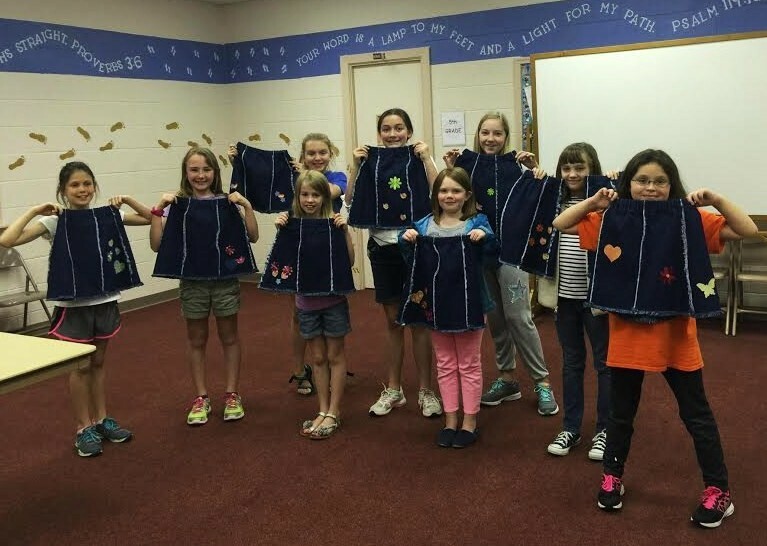 The young ladies of Girls in Action Missions, many of them first time sewers, helped sew some of the skirts together at the First Baptist Church in Kingsport, TN. The adult ladies from First Baptist Church and volunteers from St. Dominic Catholic Parishin Kingsport were also involved in making most of the denim skirt, shorts, and pants. In all, these groups came together to hand make 35 denim pants, 13 denim shorts, and 101 denim skirts. The Girls in Action Mission group at First Baptist Church in Kingsport. However, this wasn’t their first big sewing project. Last year, L.C. King in Bristol, TN donated a large amount of left over denim materials. This was used to make over 100 pieces of clothing that was then donated to Communities In Schools. The clothes are still being distributed to families as needed in the southwest Virginia. 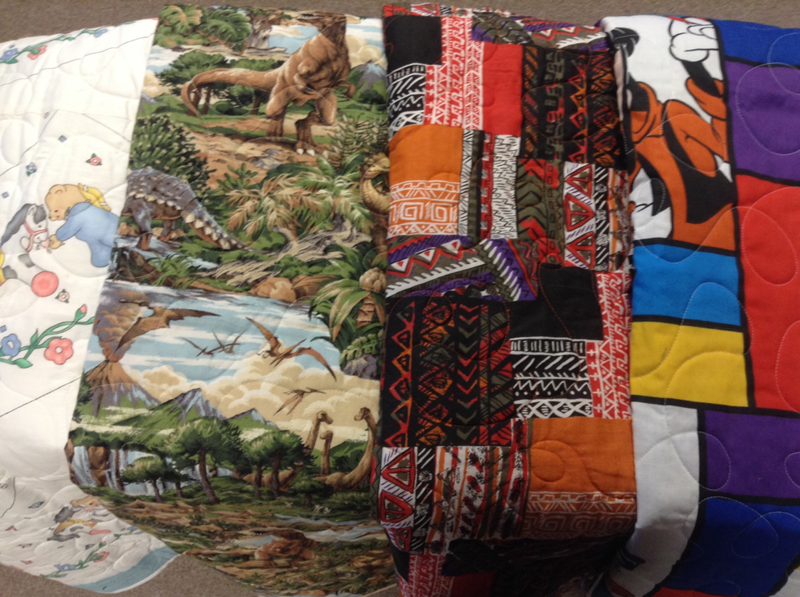 43 quilts were handmade by Brenda’s mother, Charlene Hanneken, in different sizes and patterns. Communities In Schools helps provide anything that children and families would need in order to keep the children in school. The donation of clothing was put in their ‘clothes closet’ and even goes to the siblings of children in school or new preschoolers. Communities In Schools helps identify families of need across 11 county schools and 2 city schools. 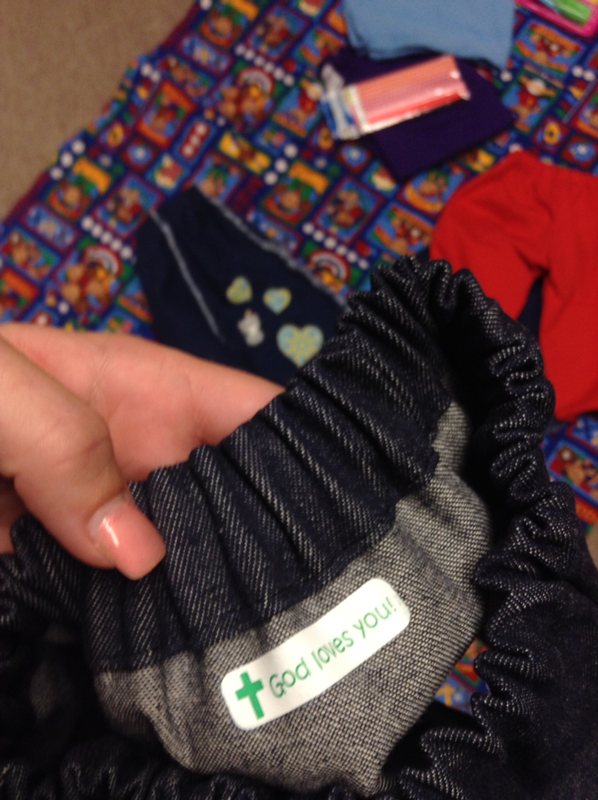 The donation of clothing has been used to supplement needs of children throughout the school year. 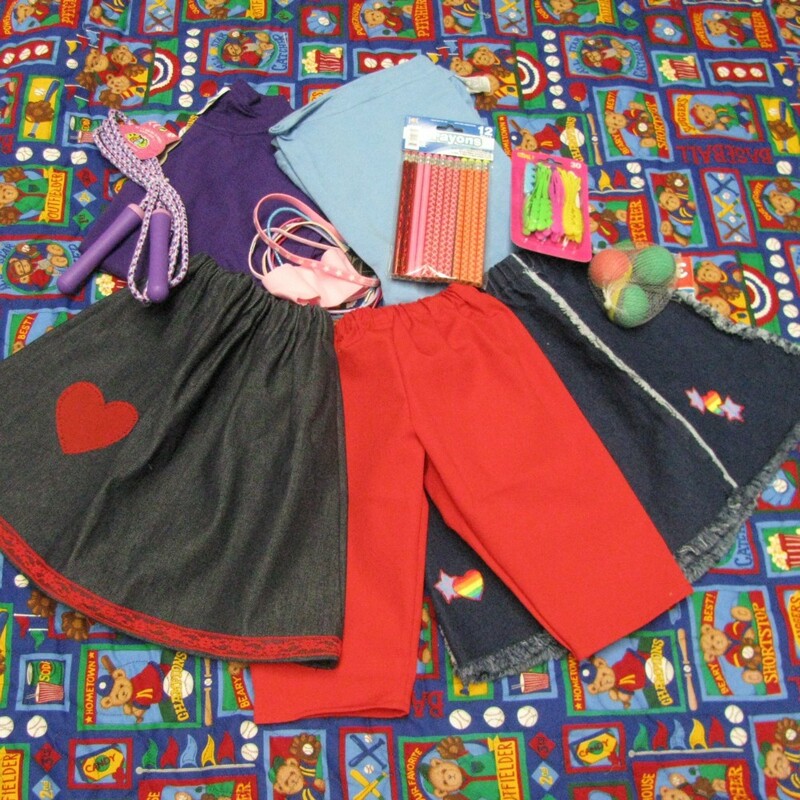 The handmade skirts and pants, along with toys and t-shirts. The background shows one of the quilts made by Charlene. The donation to Communities In Schools occurred in the fall school semester of 2014. The group then began working in January on a donation for Rakai Children’s Village, supported by Serving Orphans Worldwide. Charlene Hanneken loading up the 43 quilts she made from January up until May, which is no small project! 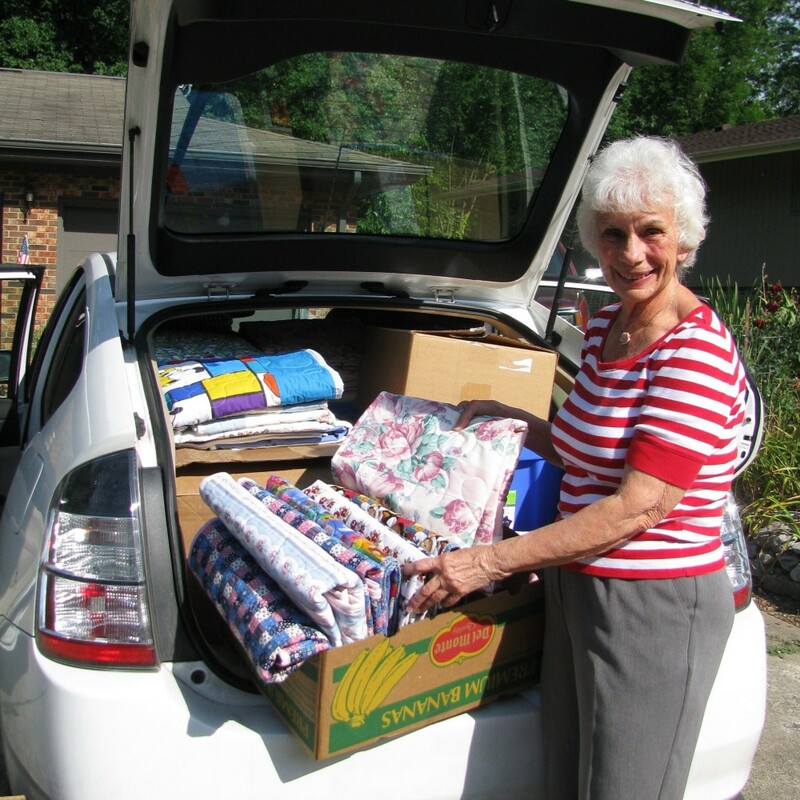 Brenda and Charlene brought 150 pieces of hand made clothing and 43 hand made quilts to Serving Orphans Worldwide. 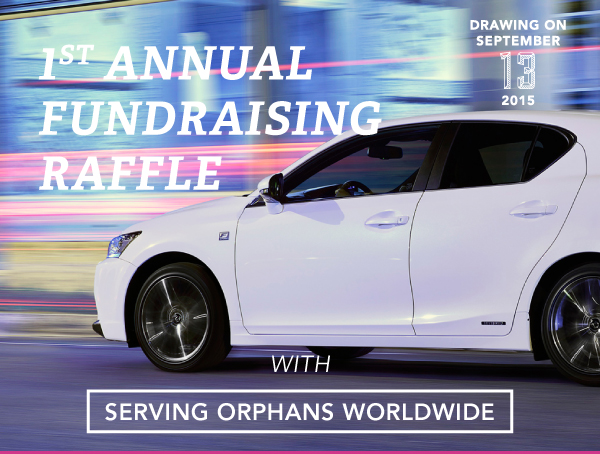 Richard Baker, the Chief Operating Officer of Serving Orphans Worldwide will be taking the donation in late September to Uganda. Bellafina Chocolates also donated 66 t-shirts, 13 small toys, 5 packs of barrettes and bows, 47 cross necklaces, and 4 packs of pencils to accompany the hand made clothing and quilts. 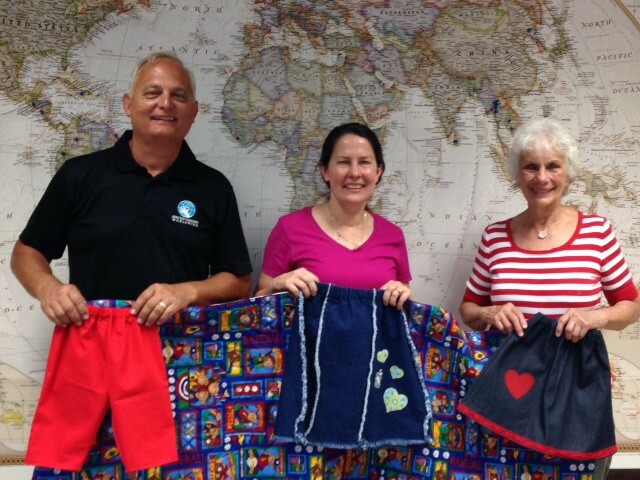 Richard Baker from Serving Orphans Worldwide accepts handmade quilts and clothing from Brenda Barnicki and Charlene Hanneken June 17th, 2015. Serving Orphans Worldwide was proud to accept the donation and looks forward to travelling to Rakai Children’s Village in Uganda and handing out the much needed clothing and toys. 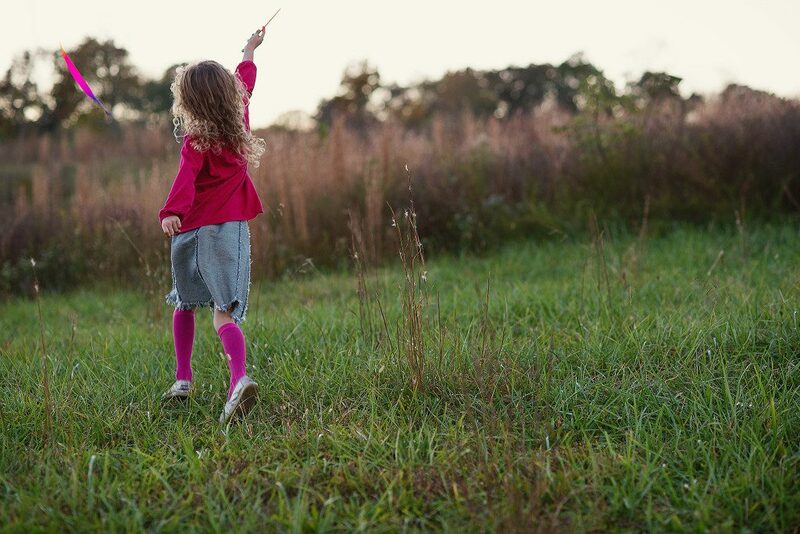 Whether the children are playing with toys, wrapping up tightly in their new quilts, or running around in their new jeans, they will know that someone loves them. That was the idea that brought all these local groups together for one goal. The big picture is this: a local business donated materials so that people from a Catholic parish and a Baptist church, of various ages, could make and donate clothing. This made it a possibility for two local nonprofit organizations to give the items to needy children, both here in public schools, and even to children who live at an Anglican orphanage in Uganda. It is so great to see various groups coming together sharing the same heartbeat for neglected children. It is so great to see the body of Christ caring for each other in the way that Jesus intended. A big thanks to all the individuals, organizations, and businesses that made this possible! Bellafina Chocolates host volunteers to make chocolates over the holidays, that are then sold for the benefit of children. Brenda will be organizing more sewing groups later this year to make more clothing for children. 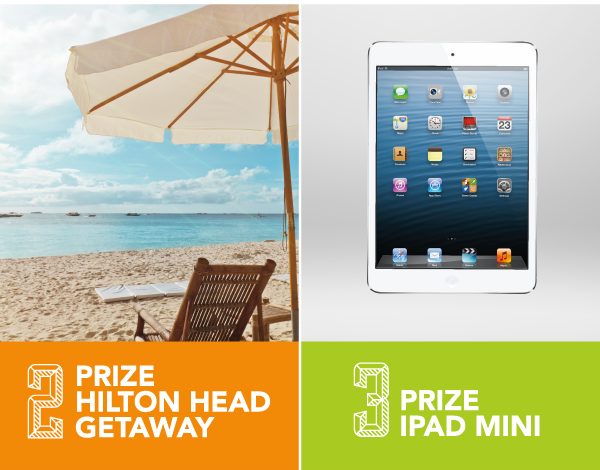 If you would like to be involved in either of these projects email[email protected] or you can call (423)292–2271. Communities In Schools is getting ready for a Christmas in July event for students in Bristol and Washington County schools. Christmas in July is similar to the Angel Tree program that is done during Christmas, except this is intended to help prepare the children for the school year with clothing, shoes, and school supplies. 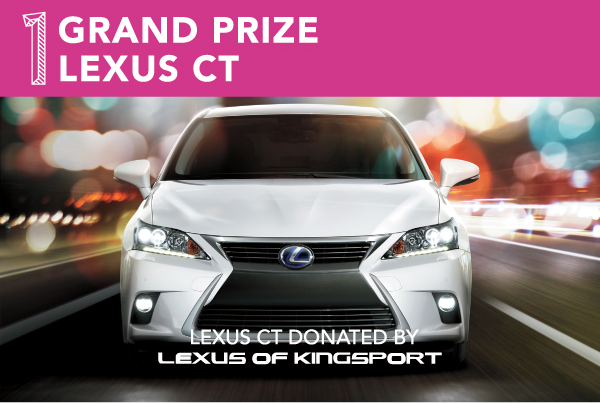 If you are interested in sponsoring a child locally call Sam McKinney at (276)–821–5630. To read more about the children of Rakai Children’s Village in Uganda read‘Never Stop Dreaming’ by: Emily Glover. Out of more than 153,000,000 orphans worldwide, only 23,609 were adopted in 2011. That’s less than 1%. Orphanages provide a last line of defense for these children, but many are struggling just to survive. Make a lasting impact on a child’s life today by Adopting an Orphanage. Your recurring donation will support the Rescue of a home in need. With our 100% Approach, you can be sure that your donation goes straight to providing for the needs of an orphan.